Island Harbour Marina is one of the Solent’s best-kept secrets. Conveniently situated on the River Medina, two miles south of Cowes, it’s one of the most picturesque riverside locations. This peaceful marina offers over 200 berths for annual moorings and visiting yachts, as well as many other amenities including a chandlery, boat builders with a repair workshop, 50 ton hoist and slip crane, hard standing, luxury showers and laundry room, car parking and FREE Wi-Fi. Sat within the tranquil setting is ‘The Breeze Restaurant & Bar’. Exclusively operated by the marina, The Breeze is open daily and offers a quality breakfast, lunch and dinner menu at very reasonable prices. For more information please click here. We have a new cycle track into Newport, the County Town of the Isle of Wight and riverside walks, ideal for ramblers and dog walkers. We are also convenient for Island bus routes, making Island Harbour a great central base from which to discover the island. 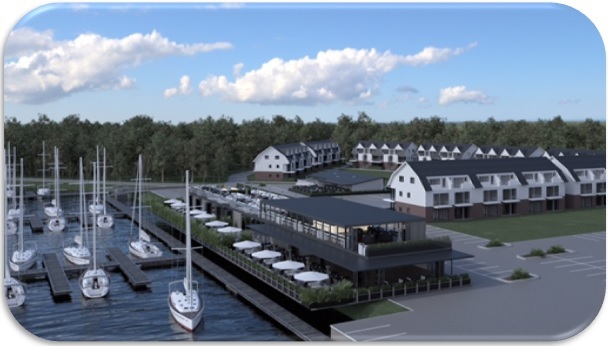 We have big plans for the future, with ongoing improvements to the marina. Over 2016, we extensively enlarged and refurbished the Breeze restaurant. For 2017, we have a brand new, bigger-and-better children’s play area and we also have new apartments available for rent. The next stage of improvements will be the installation of a health spa, swimming pool and tapas bar. Watch this space! The stunning setting, sense of space and well appointed facilities combine to make Island Harbour an exceptionally sought after marina and a great place to relax and enjoy the picturesque surroundings. If you have never been here before, give us a try. You won’t regret it! If you don’t have a boat, but fancy staying by the side of a scenic riverbank, we can also accommodate campervans and tents. Give us a call for rates and further information. Great news! The dates have now been announced for the 2019 Isle of Wight Music Festival. It will be from Thursday 13th June 2019 until Sunday 16th June. Tickets are already on sale at the Isle of Wight Festival website! If you want to go, we can give you more information on the fantastic accommodation choices that we can offer you, on our own Isle of Wight Festival tab on this website. From marina berths, to campervans, caravans and tents. Please note that Richardsons Yacht Services’ chandlery and shop is open as usual, but they have now moved to their new building at the rear of our hard-standing area. 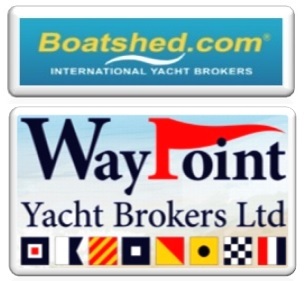 Island Harbour is proud to be associated with both Boatshed IOW Yacht Brokers and Waypoint Yacht Brokers who both operate as our recommended brokers. If you wish to buy a new boat or sell your existing one, just go to their sales areas by clicking on the relevant entries in the menu on the left, or by clicking on one of the links above.